This post will be about Vitamins & Minerals you are MOST LIKELY deficient in but with proper diet changes you can “easily” fix, though supplements can be convenient as an insurance or as tool to make sure while on the road/living in a new country you do not become deficient. While some of these vitamins are easy to figure out if you are deficient in them from your food choices, such as not eating a lot of seafood or organ meats, if you are wondering what vitamins should i take daily it is still best to go to a website like cronometer.com and input broadly what you ate for a few days in a row and see if you notice any vitamins/minerals you might be missing a lot on. For example, when I first did this, it confirmed I was very low on Zinc on days I did not eat seafood. Don’t make the mistake of thinking a multivitamin containing everything is a risk free alternative to figuring out what you actually are deficient in! 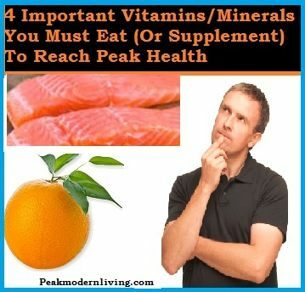 In my previous post on the 2 deficiencies that affect most of us even if you have optimal nutrition I pointed out how we either need to make lifestyle/location changes are needed for Vitamin D & magnesium, the nutrients below can be added with diet changes (and if not, I provide the best vitamin supplements I’ve used for each and why). Omega 3s from seafood and grass fed beef. If you are traveling a lot and do not have the time to eat salmon 2-3 times a week or other sources of omega 3s such as grass fed beef (very hard to find on the road unless you know a local farmer or live in New Zealand) you are most likely low on omega 3s compared to your high level of omega 6 from vegetable oils used in cooking (use coconut oil or butter instead) or grain fed beef which has almost no omega 3 and lots of omega 6. Grass fed beef, which is how beef used to eat naturally (nowadays they are usually all fed grain to save money), has a 1:1 ratio of omega 3 to 6.The closer you can get your ratio to 1:1 the more you can experience the benefits from taking foods rich in omega 3 or supplements. Also, like I mention in my post on why I think flax seed and chia seeds are not worth it for omega 3s (the omega 3 form of ALA in plant sources is poorly converted into the DHA and EPA your body wants in your body), animal sources are much better for omega 3s. Best time to take? Anytime, ideally with a meal. Best absorbed Form & Brands? Krill oil is the best since it has lower risks of toxicity from heavy metals and comes with other bonus substances such as Astaxanthin which helps against sun burn & joints (among other things). Quality does matter with fish oil supplements as I mention in my possible fish oil side effects post, I use to go with Carlson labs in liquid form (glass bottle) while at home but now that I am on the road I prefer krill oil supplements. Vitamin C is recommended to supplement in low doses (500mg-1g) each day because while you might meet the RDA (which is VERY low, its set to prevent you from getting scurvy… It says nothing of the “optimal” amount your body might want!) the vitamin C content from your veggies quickly drops once they are out of the ground and not getting sunlight. Vitamin C is well known to help you with collagen production (skin health) & really has been studied very well for a long time, I personally take 500mg everyday as an insurance since the extra amount will just go in your urine (it is water soluble). In fact, Extremely high doses of vitamin C have even been show to possibly help against cancer and also in this study. Those are taken intravenously instead of orally (your body cannot digest and absorb that much vitamin C orally) but still, it shows how even in incredibly high amounts your body can handle it. For more details on the benefits of vitamin C you can check out this post. Best absorbed Form & Brands? Vitamin C does not vary much but I try to get supplements that have bio flavonoids such as rose hip, to ideally make the vitamin C supplement work as close to a natural form found with food. Amazon link (US) iHerb link (International people). Zinc, the reason oysters are an aphrodisiac! Zinc is easy to get from food but you need to be eating most specific types of foods such as liver (organ meats) or shellfish, such as oysters which have their reputation of being an aphrodisiac most likely due to their high zinc content. I supplement every now and then when I do not eat any of the foods with a high quantity of zinc. I keep it simple, since most supplements have large doses of zinc(15mg to 50), I usually take it once every few days because I do not want to risk taking too much. Taking a 50mg dose of zinc per day seems reckless in the long term considering it competes with other minerals such as copper for absorption! Aka, if you take a lot of zinc, you might have copper problems … They come in a good ratio in nature for a reason (aka all foods with zinc come with a certain natural ratio of copper). Best absorbed Form & Brands? I usually go with zinc picolinate or any “non oxide type”. Brand does not matter much, go with your favorite that provides a good price for quantity. Iodine, so important that it was added to table salt ! If you never looked at the label, most table salt is refined to purely be sodium and because in the 20th century people started having problems with iodine deficiency it was added to table salt (iodized) by the government to cure this deficiency (since mostly everyone ingests table salt at some point in the day). Even then, refined table salt is unhealthy and unnatural (unlike sea salt or my favorite, Himalayan salt which contains hundreds of trace minerals) and will not provide enough iodine. Ideally you want to get some from seafood and especially seaweed which I often add to a soup. If you don’t, you should supplement. How much to take? ~1mg a day. Best absorbed Form & Brands? Kelp powder, potassium iodide. Its very common and safe in general. I take a the life extension supplement because it mixes Iodine, vitamin D and K2 in the morning, which I all need to take so this lowers a lot my daily supplements that I take. Vitamin K is found in most vegetables but the bacteria in our gut “transforms it” in vitamin K2 at a certain rate which is a vitamin that has been shown to have many very important benefits including helping bones be strong. Calcium being the only thing for bones or fighting osteoporosis is not true, vitamin D, magnesium and K2 have over the years been shown to all be as important or more. In this study, Rats fed extra vitamin K2 (the MK4 form) were shown to have increased testosterone production It mostly comes from fermented foods which in western culture we often ignore, good sources are grass fed butter (Irish brands like (Kerry Gold or New Zealand brands like Anchor), sauerkraut, kimchi and natto. How much to take? Daily, ideally a mix of both the “4” and “7” variant. Best absorbed Form & Brands? Any brand that offers both K2 forms. I take a supplement that combines my vitamin D, iodine and K2. Finally, there are a few more that you could supplement with such as Vitamin A, Selenium and Vitamin E but I find the science of selenium & vitamin E supplementation a bit confusing, some show it to be risky and others not, better to stick on real foods for these 2! For vitamin A I eat enough liver once a week in addition to a lot of vegetables so I personally never bother supplementing. A lot of the supplements on this page I do not take if I have consistent meals containing their respective nutrients inside (liver 1-2 times a week, seaweed every few days in a soup, seafood almost every other day or more etc.) but I bring them while traveling/living abroad (which is very often). 3 Reasons Chia Seeds and Flaxseeds are NOT the “superfoods” you think they are. 6 Reasons 99.9% of The People Should NOT Take Multivitamins. The importance of Vitamin K2 & why you need to eat fermented foods now! 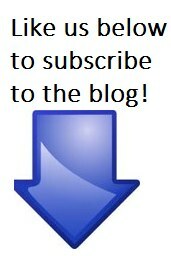 This entry was posted in General Health Experiments by Alex. Bookmark the permalink. Hey man, great stuff on here. Just retweeted your article. Do you have a twitter account i can follow?